We believe that our patients are like family, and family deserves medical solutions that look outside the box to find the source of pain and treat the whole body. Non-surgical manipulation of the spine and surrounding structures to treat the disorders of the nervous system and musculoskeletal system that are causing your pain. A Certified Sports Physician and the Medical Director for USA Track and Field New Jersey, Dr. William Charschan is a licensed and board certified physician of chiropractic sports medicine with a background in mechanical engineering. 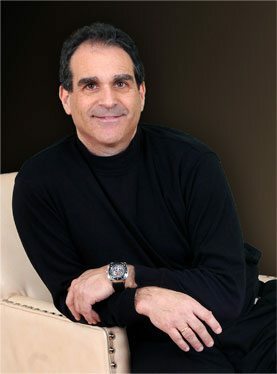 His engineering background helped him develop a unique approach to solving many complex mechanical problems resulting in neck, back and joint pain throughout the body. Why the pain and malfunction exists is the most important part of the puzzle behind why you hurt. Treating why you hurt rather than just where the pain is makes our practice unique. Runners love his approach because he goes beyond the conventional methods to help them run better and pain free. "Cheating Mother Nature: What You Need To Know To Beat Chronic Pain" now available on Amazon.